Hello everyone, welcome. 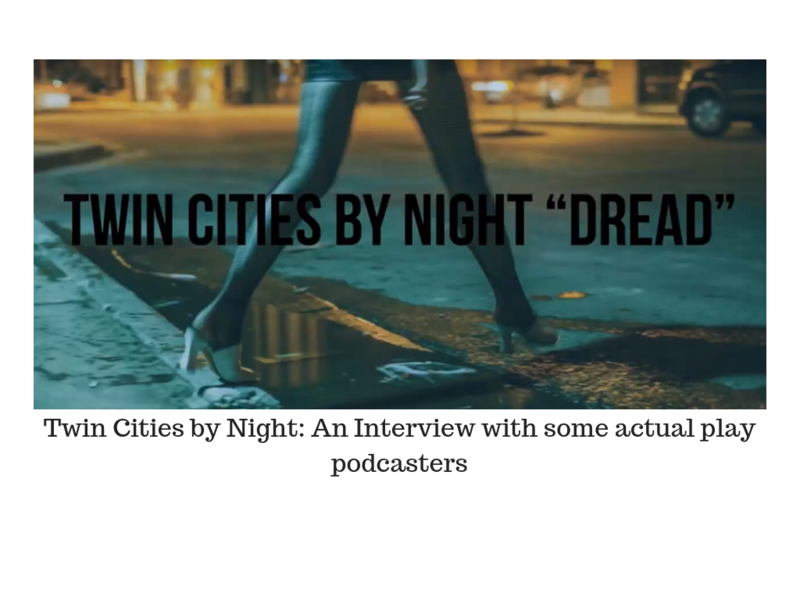 Today I am sharing an interview/chat I did with Chris and Joaquin of the Twin Cities by Night Youtube Channel and Podcast. Just a bit of context, Twin Cities by Night started as an Actual Play of the game Vampire: the Masquerade. Since then, it has grown to include many game lines. But no more spoilers from me as you can simply watch the video. Viewer discretion is advised as there is some casual swearing by Chris as gets enthusiastic about the channel and his gang. There is no malice, but it you are likely to be offended by this, then you may wish to reconsider watching. You can find Twin Cities by Night in the following places. Just as a personal recommendation from me, based on the streams I have viewed. As I said in the video, let me reiterate for you. If you have read my posts referring to Vampire: the Masquerade and wondered what seeing what an actual game looks like, or if you are a fan of the game looking for a good example of a VTM actual play, focusing on horror and even realism, then I wholeheartedly recommend the Twin Cities by Night actual play channel. It is no exaggeration to say that watching how Chris and Joaquin run their games, picked up a few tricks. And other members of their gang run games I haven’t watched yet and I daresay more is to be learned watching them. Thanks to Chris and Joaquin for sitting through two interviews (technical problems obliterated the first one), and thanks to the whole gang for sharing their content.